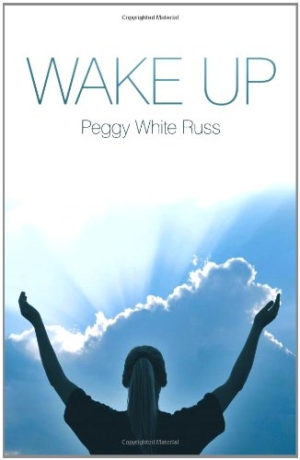 Peggy White Russ’s memoir Wake Up is a testament to the power of faith and to the belief that a person must hit bottom before he or she can rise. In it, Russ explores the spiritual “unrest” and “discontentment” that seeped into her life despite her love for God and her work at Shield of Faith Ministries in Florida, which she and her husband founded in 1978. Preaching alongside her husband, Richard, the church’s pastor, Russ expected the 2000s to be a time of exciting new beginnings both personally and professionally. She continued to work to bring people the “heart and breath of God” through Bible classes, Sunday church services, and many other aspects of her and Richard’s ministry. But instead of thriving, Russ describes that a “cloudy film” set in, causing her to lose the vision and surety she once had for her work. As the title of the second chapter so aptly describes, a “Bridge of Discontentment” had formed, and Russ was unable to cross it. She suffered from nightmares, and felt as though “everything predictable in [her] life was beginning to shift off kilter.” This sent Russ into a state of despair as she questioned not just why the crisis was occurring, but also how she would find balance and get through it. She feared letting down her congregation, jeopardizing her ministry, and losing more of what had always been a life-sustaining faith. Then one day Russ had a vision, and God told her to “Wake up, Peggy. Wake up.” He showed her an image of a mammoth, rugged, and potentially dangerous mountain that, as Russ explains, she knew she would have to climb and conquer through prayer, reflection, and sacrifice. How Russ took on this challenge to “unclutter” and reclaim her spirit is the crux of Wake Up, which chronicles Russ’s journey to get both her faith and her ministry back on track. During her quest, Russ fasted for two years and immersed herself into learning everything possible about God’s end-time prophecy—the apocalyptic time period described in the Bible’s Book of Revelation that, according to the author’s Christian beliefs, will bring an end to evil, suffering, and the world as it is known. Russ uses what she calls her lifelong love for storytelling to bring her own experiences to life. Her prose is crisp and clean. Even those who don’t share Russ’s beliefs will admire her perseverance, honesty, and almost palpable passion for serving as one of God’s “honorable warriors.” Wake Up is a noteworthy debut.